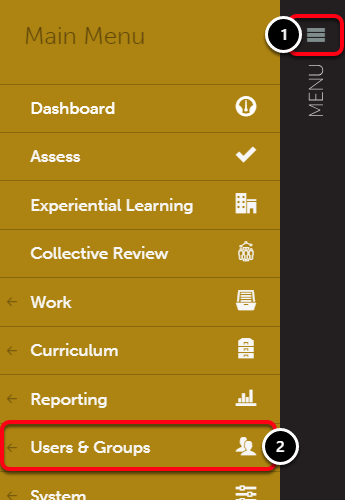 Departments can be used to organize faculty, students, Tables of Contents, Assessment Instruments, and more. 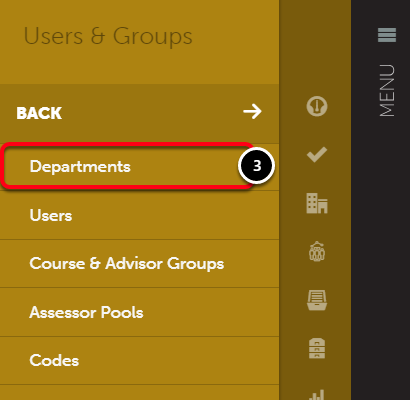 This workflow will walk you through the process of creating a new Department, creating a Subgroup to the Department, and adding both faculty and students to the Department and/or Subgroup. 2. Select Users & Groups. 4. Click on the Add New Department button. 5. 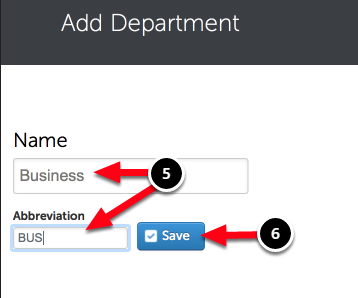 Enter a Name, and (optionally) an Abbreviation for the department.